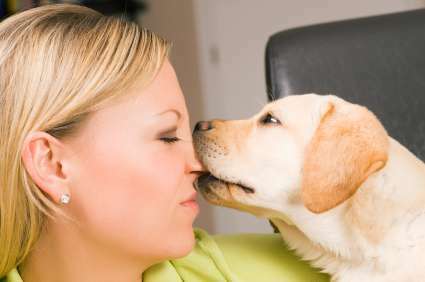 Even though puppy biting and nipping is a behavior dogs will do instinctively from the time they are a few weeks old, at some point this has to be curbed in the best interests of the pet, through the use of dog behavior modification strategies. You may have thought that puppy biting is harmless and just their way of playing and having fun. In part this is true when it comes to socializing and rough housing with each other. 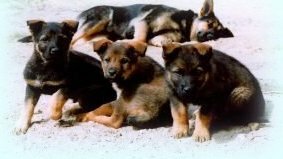 But, although this behavior is a natural way that pups in a litter interact, the real reason for all this puppy biting and nipping during playtimes is to establish their position or dominance in the pack. During this jockeying with each other they also learn when they have stepped over the limits of play biting into the more severe nips when the hurt puppy gives out a loud yelp, or the mother intervenes with a big push away on the nose of the overly aggressive puppy. This early learning should continue as part of their overall training when puppies leave the litter and move on to forever homes. Their new human family will need to sufficiently reinforce what they have already learned about bite inhibition in the pack, until the pet completely understands that biting humans in any form is unacceptable. Socialization of your puppy is an extremely important part of this training. This will get him used to people, places and events that may be fearful or cause stress and become a trigger for puppy biting and nipping. It's also important to differentiate between the puppy biting, mouthing, and nipping that occurs naturally between puppies during their games, than when that same behavior occurs in playful situations with humans. Once this is tolerated it can be the start of a bad habit that easily escalates to a dangerous level as a puppy matures and gets a sense of his power. Dogs learn by repeating behaviors. When soft biting or mouthing is repeated over and over with humans during playtime, guess what happens? It becomes a conditioned response every time you play with your pet. Eventually, when his puppy teeth turn into sharper teeth and you get a nasty nip, you will decide it's time to stop puppy biting. When left unchecked a puppy biting and nipping habit can be hard to modify especially when it has become a conditioned response. This is why is it so important to intervene as early as possible. While biting and nipping at humans should definitely be curbed, not all puppy biting needs to be stopped. Puppies explore their world through their mouth, biting down and chewing just about everything they discover during their adventures. The key is to channel this behavior into acceptable outlets. 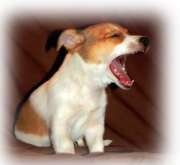 A puppy that is allowed mouthing, chewing, or nipping at your hands, arms, or clothing is going to think he is dominant and you will have difficulty obedience training him thereafter. This needs to be reversed right away by a clear message to your dog that this behavior is unacceptable. Become your dog's pack leader, learn how to do this effectively here. Never play aggressive games, chasing games or tug of war games with your puppy while you are training to stop puppy biting and nipping. While they love these type of games, to them they are very stimulating and an open invitation to biting and nipping. Always be in charge of playtime, when it starts and when it stops. This shows that you are in the alpha or pack leader position with your pup. Everyone in the family must be communicating in the same way and must not deviate from the strategies you are using. Stick with your training plan until reliable behavior is established. When you first bring a puppy home, your initial objective will be to make him comfortable and unafraid in his new home and with his new family pack. Enjoy him and give him a little slack for a few days, but don't delay important training too long. The point of bite inhibition training is to get your puppy to recognize when his playful puppy biting and nipping has gone too far. He will have learned some of this from his littermates, but now that you are taking their place in his life, you will need to continue to guide him along the same path. A puppy's first playful bite may not seem like much, but it can escalate quickly if you do not let him know that it hurts (even if it doesn't). So give him some feedback to let him know it hurts with a loud yelp or human equivalent such as "Ow" followed by a stern "No". This is also the time to stop play and ignore him for a while. You want him to get the message that biting is not an acceptable part of play time. Continue to do this whenever you play with him until he starts to get it - repetition will lead to your ultimate goal of eliminating any form of contact with human skin or clothing. Always praise and reward your puppy when he plays by the rules - that is without biting or nipping. But remember to give him an outlet for his natural biting urges during the months that his teeth, gums and jaws are developing, by providing him with a safe toy or one of the Kong teething-type chew toys as an approved substitute that he can sink his teeth into. Don't fall into the trap of giving him one of your old shoes or any other discarded personal items as he will understandably get the message that your stuff is fair game - not what you want to teach, right? This website is run by a top expert in the field of dog training and teaches dog owners the dog behavior modification strategies that work.